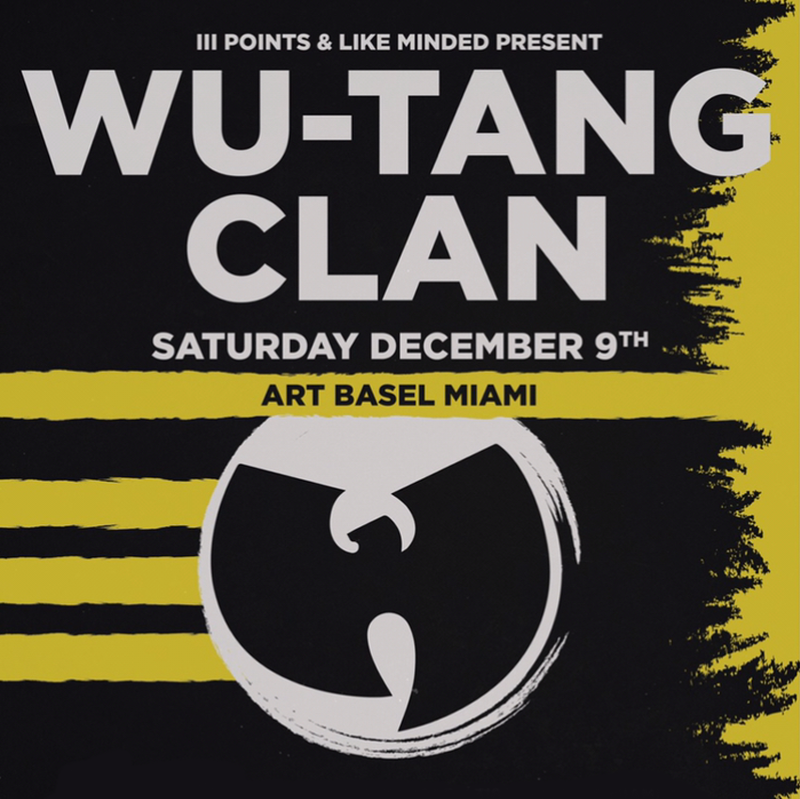 III Points is bringing Wu-Tang Clan to Miami on December 9th, 2017 as part of our fifth annual Art Basel Concert Series. TICKETS ONLY ON SALE HERE! Emerging in 1993, when Dr. Dre's G-funk had overtaken the hip-hop world, the Staten Island, NY-based Wu-Tang Clan proved to be the most revolutionary rap group of the mid-'90s -- and only partially because of their music. Turning the standard concept of a hip-hop crew inside out, the Wu-Tang Clan were assembled as a loose congregation of nine MCs, almost as a support group. Instead of releasing one album after another, the Clan were designed to overtake the record industry in as profitable a fashion as possible -- the idea was to establish the Wu-Tang as a force with their debut album and then spin off into as many side projects as possible. In the process, the members would all become individual stars and elevate hip hop for many years to come. III Points is bringing them to Miami for our 5th annual Art Basel concert series on December 9th!